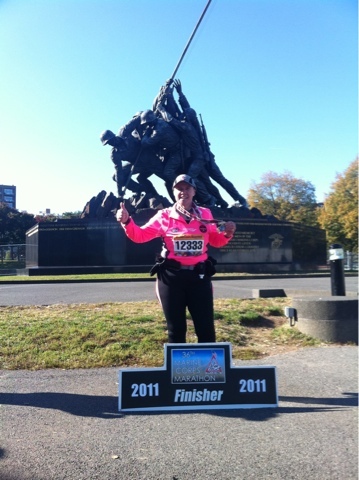 Finished the Marine Corps Marathon today in Washington DC! My 256th lifetime marathon and my 22nd marathon finish since being diagnosed with Breast Cancer in October 2009! I ran in honor of US Marine Chris Lesser currently serving our country in Afghanistan! It was an inspiring day for me!